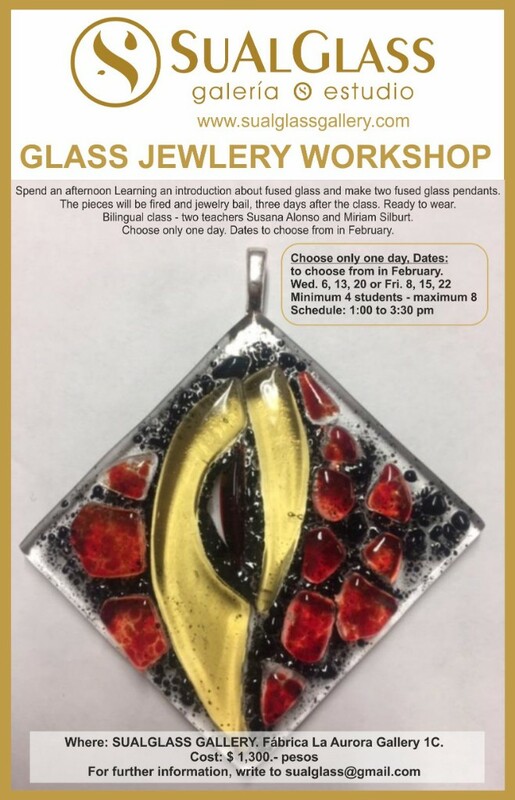 Spend an afternoon learning about the incredible properties of fused glass while making two jewelry pendants. Jewelry available two days after the event once fired. Workshops takes place at gallery at Fabrica La Aurora 1C from 1:00 pm to 3:30pm on February 6, 8, 13, 15, 20 and 22.